Franz Kafka published only seven short pieces in his lifetime. 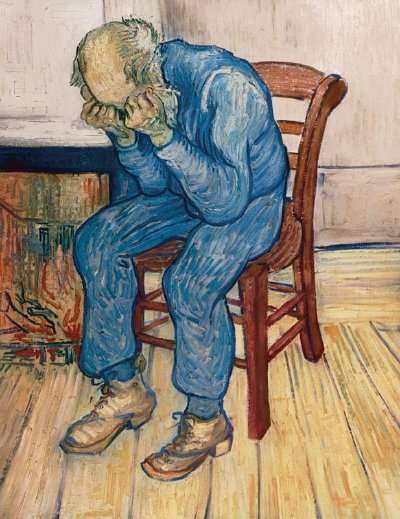 Vincent van Gogh sold only one painting. Even the most prolific bloggers sometimes feel like they're wasting their time, writing for a world without readers, performing in an empty auditorium, painting pictures nobody wants. The feeling's understandable. Passion. Kafka wrote, "By believing passionately in something that still does not exist, we create it." Patience. van Gogh wrote, "Great things are done by a series of small things brought together." Perseverence. Kafka also wrote, "From a certain point onward there is no longer any turning back. That is the point that must be reached."